Growing allegations that biopharma firm Samsung BioLogics fabricated financial statements, coupled with checks by authorities and activist shareholders, are bringing questions on a controversial deal between two Samsung affiliates back to the fore, according to market experts Friday. The Financial Services Commission plans to review the case of Samsung BioLogics next week via an oversight panel. The financial regulator is reportedly seeking clues on whether the change in accounting method was associated with making the case for a 2015 merger deal. 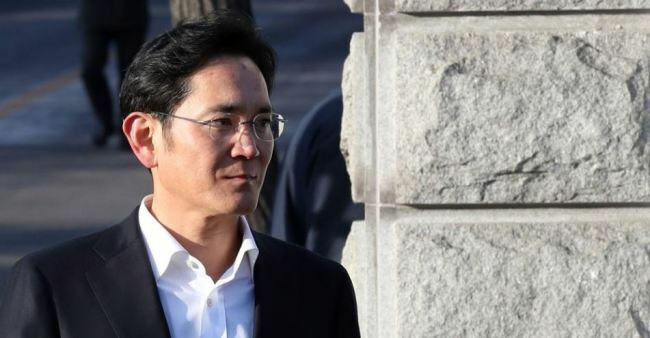 The controversial merger between Samsung C&T and Cheil Industries was widely seen as paving the way for Lee Jae-yong, vice chairman of Samsung Electronics, to tighten his grip over the electronics-to-retail empire. Cheil Industries acquired Samsung C&T shares worth $7.7 billion in July 2015 in an all-stock takeover deal. The merger ratio was 0.35 Cheil Industries share for each Samsung C&T share. But some shareholders of Samsung C&T, including US hedge fund Elliott, have argued that Samsung C&T stocks were undervalued in the merger ratio. From Samsung’s perspective, the merger was crucial to convince Samsung C&T shareholders that the intrinsic value of Samsung C&T was high, said Park Ju-gun, head of local conglomerate tracker CEO Score. “Samsung was in the position to justify the merger, and listing Samsung BioLogics played a critical role in making the case for the higher (future) market value of Samsung C&T,” Park said. 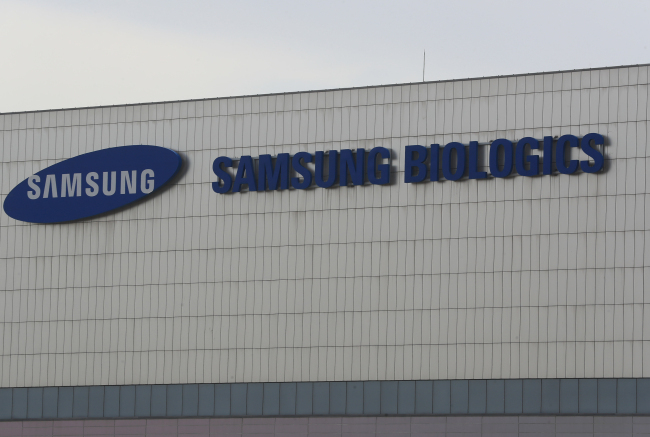 Samsung C&T holds 43.44 percent of Samsung BioLogics. He added that Samsung BioLogics had another role -- conjuring up money to buy Samsung Electronics shares following the upcoming revision of the Insurance Business Act. Samsung Life Insurance will be obliged to sell some 22 trillion won ($20.6 billion) in Samsung Electronics shares because the revision will bar the life insurance arm from owning affiliate stock in excess of 3 percent. Currently, Samsung Life Insurance holds over 8 percent of Samsung Electronics. According to Park, the most likely scenario is having Samsung C&T buy the stocks using profits made through Samsung BioLogics’ increased market value, which jumped nearly four times at its peak in mid-April compared to the initial price when listed in November 2016. Samsung BioLogics earlier in May was accused of changing the accounting method on its joint venture subsidiary Samsung Bioepis -- from consolidation to equity method -- in the fiscal year of 2015, so that Samsung Bioepis shares were evaluated at market value, instead of book value. Following the action, the value of Samsung BioLogics’ investment into the subsidiary soared some 16 times. As a result, this made a turnaround in net profit after having remained in the red since 2011, according to left-leaning lawmakers referring to evidence secured by a special counsel last year. The Securities and Futures Commission, a legal entity within the FSC, plans to decide the level of penalty in a regular weekly panel in late May or early June. But even if the SFC recognizes the case as accounting fraud, the issue will linger on the market for one to two years, said Mike Cho, president of the Korea Corporate Governance Service nonprofit organization and a professor at Korea University. “Things will be complicated if the ruling turns out to be in favor of the regulator,” Cho said. Moreover, Cho added that Lee has little choice ahead, because selling his stakes of either Samsung C&T or Samsung BioLogics appear to be unrealistic options. Samsung BioLogics has claimed that the change in accounting method for the fiscal year 2015, filed in 2016, cannot have affected the 2015 merger. Samsung BioLogics is a pharmaceutical contract manufacturing organization and maker of biosimilars from living cells.